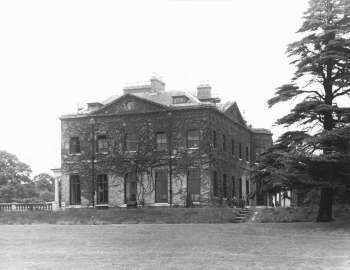 Bickley Hall, after which the whole district is now named, was built very much in the style of a country house in 1780 by John Wells, a shipbuilder. Built in the centre of an area of uncultivated heathland near the site of an earlier hunting lodge, the origin of the name is unknown. The Hall remained in the family until 1841 when some unwise investments resulted in the family's bankruptcy and the sale of the estate. George Wythes began the development of the Bickley Park estate in the 1860s, but the Hall and a sizable piece of parkland around it, described as late as 1897 as a deer park, survived. From around 1908 both were released to a pre-established preparatory school which proved very successful until its closure in the 1960s. An attempt to have a preservation order made failed and the building was soon demolished and replaced by an estate of detached houses. Cedar Copse, now occupies the site.